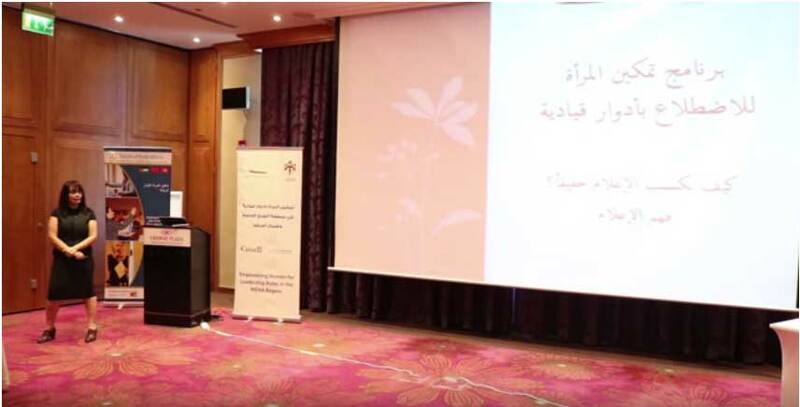 As part of @CanadaDev funded, Forum of Federations MENA program, “Empowering Women for Leadership Roles in the MENA Region,” the Forum and Jordan Media Institute organized a symposium for a group of female members of the House of Representatives on “Best Practices in Dealing with Media Outlets”. Participants were given a practical introduction to Media and Information Literacy by showing them positive and negative examples of interviews, best practices for interviews (including elaboration on the different stages of interviews). They were also trained in understanding news, and the difference between news, opinion and rumor, standing in front of the camera and inclusive governance.